Browse our range of top quality boat covers to fit a wide range of types of boats and sizes. Boating and RV pride ourselves in the quality of our products, and only stock boat covers of the highest quality that withstands the harsh Australian conditions. 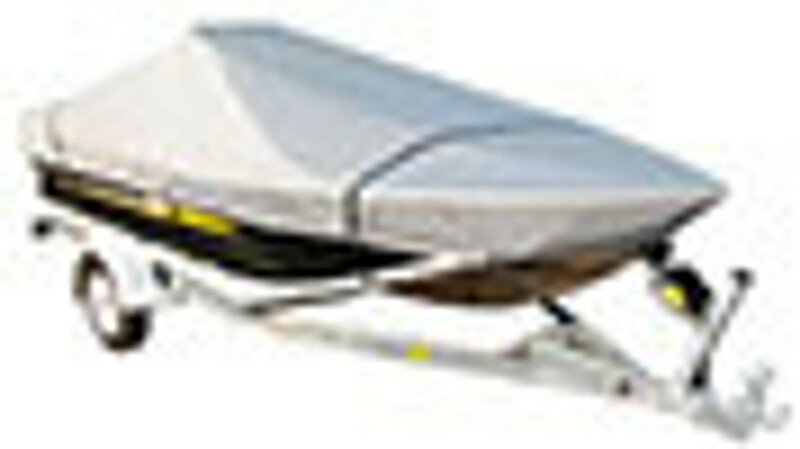 We only stock top quality Australian designed boat covers from Oceansouth. When choosing boat covers, consider the type of boat you have to get the best fit for your boat. Check our guide for choosing the right size boat cover. Boat cover styles include open boat, inflatable, side console, centre console, runabout, bowrider, cabin cruiser and jumbo boat covers in addition to the budget boat cover range for storage. With a genuine Oceansouth boat cover, you are guaranteed to get a top quality boat cover to last many seasons, as opposed to cheaper alternatives on the market. Oceansouth semi custom boat covers feature 600 denier and 300 gram per square metre, double stitching, and a woven dope dyed polyester with maximum UV inhibitors offering a superior product for outdoor use. The boat covers are all weather and waterproof with a breathable fabric. All the boat covers are trailerable except for the budget cover.